A local loan-modification company is going out of business, potentially leaving hundreds of homeowners in jeopardy of losing their homes. 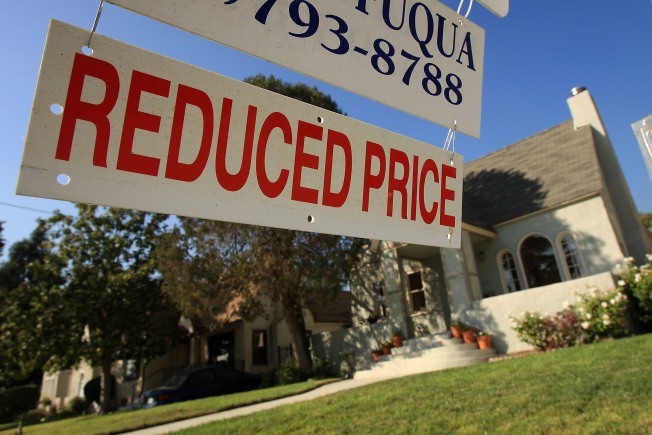 Hundreds of homeowners who turned to an Orange County mortgage-modification company for help may be in jeopardy themselves and don't know it. The company appears to have shut down. Company insiders say they have come forward to warn the public because they're afraid people will lose their homes. Greenleaf Legal Services in Mission Viejo may bill itself as "loan-modification experts," but during a recent visit, the place was a ghost town. Some offices were empty, others had stacks of client files apparently waiting to be worked on, and telephone message lights were blinking at every desk. Am investigation into a mortgage modification company. Greenleaf clients said they're still waiting for their calls to be returned. Michael Pinter of Glendora tried calling Greenleaf, but couldn't get anybody to respond. Christine Sheppard of San Diego has been waiting three months. While these customers say they aren't getting messages returned, some employees say they're not getting paychecks. Two workers say they haven't been paid in weeks. Both asked to conceal their identities because, they say, they're going to the authorities with their concerns. One employee said, "it's been over a month," since he was last paid. And since people aren't being paid, another insider said, "What is basically happening is files are not being worked at this time." These insiders say that in the beginning Greenleaf was helping people. A few clients were satisfied with Greenleaf's service and had their loans reduced. According to an insider, people paid up to $1,500 to $3,500 upfront. Greenleaf clients all over the country, including more than a dozen in California, said they paid as much as $3,500 and haven't seen results. Christina and Joseph Sheppard of San Diego paid Greenleaf $2,900 more than a year ago -- money, they say, didn't come easy. "I'm angry," said Christina Sheppard. "I want my money back. I had to borrow this money." The Sheppards said it appears as if Greenleaf was working for them in the beginning, and then the communication stopped. Michael Pinter of Glendora has investment property in Orange County. He says he went to Greenleaf last year to modify 16 loans and paid $13,500. Pinter said only two of the 16 loans were modified. He wonders if he could have prevented a foreclosure on one his properties if Greenleaf had called him back. "Lost my property," Pinter said. "Lost a pretty sizable investment." What Pinter and the Sheppards didn't know was that in August, the Department of Real Estate slapped Greenleaf and associated businesses and persons with an "order to desist and refrain" from "loan modifications" because Greenleaf was not "licensed by the Department in any capacity." "I feel like they represented us falsely," said Joseph Sheppard. Authorities said Greenleaf's website falsely advertises it's "approved" by the Department of Real Estate. "They're not approved to do loan modifications," said Commissioner Jeff Davi of the Department of Real Estate. "It's false, misleading and completely inaccurate. And we are going to ensure that it gets off his website as soon as possible." Greenleaf never registered with them to do modifications and never posted a $100,000 bond as required by law, according to the Attorney General's office. "All the more reason they're operating illegally and they need to be stopped," Davi said. In a telephone interview, one of the owners, Simon Yarandi, said he has lots of happy customers who he has helped. He insists his "partners took off with the money" and that he's "not here to rip off anyone." Just this week, the state issued a second "desist and refrain" order against Greenleaf, this time adding Yarani and his other company Refisoup.com. "He's in violation of the law and that's exactly what's in our order," Davi said. "That's why we took the action." 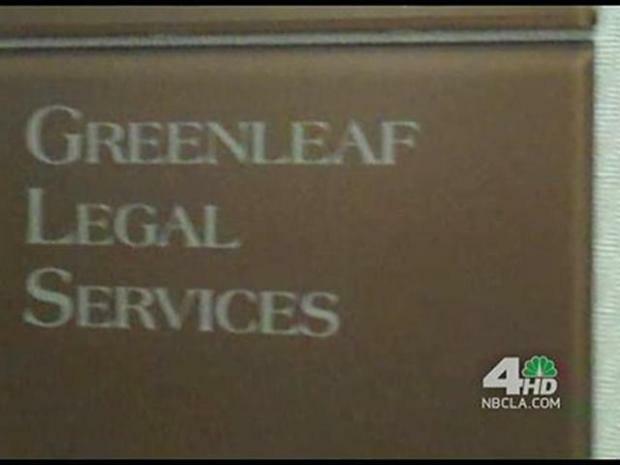 Calls and letters to other principals in Greenleaf Legal Services were not returned. What about all the people who paid Greenleaf? "The money is probably long gone," said Davi. An insider said that 200 to 300 people could lose their homes. "I don't want to lose our home," said Christina Sheppard. "We worked really hard to get this home." As of Oct 11, it is now illegal in the state of California to collect money in advance for any loan modification work. But that new law came too late for a lot of homeowners.